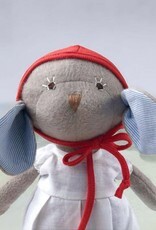 Sometimes the other animals ask Catalina, doesn't that bonnet constrict your ears? She says, thank you for asking but in fact no, it is cozy and it stretches. Plus, when she finds nice acorns she can use her bonnet as a bag. 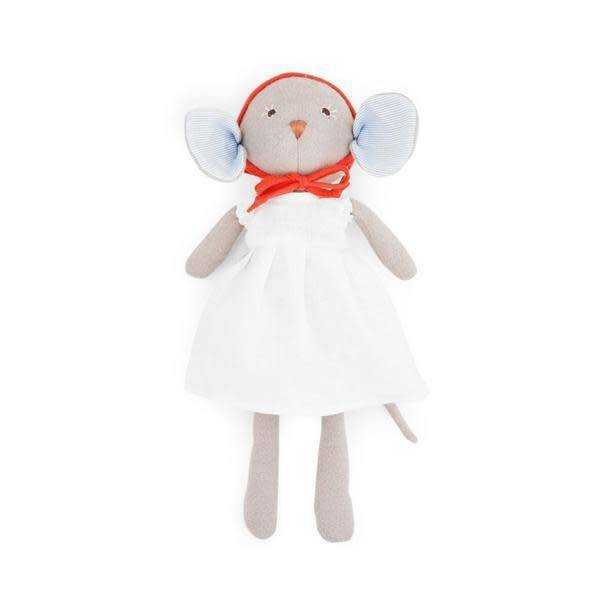 Catalina is made of gray organic cotton fleece, and stuffed with washable polyfill. Her ears are lined with cotton oxford shirting. 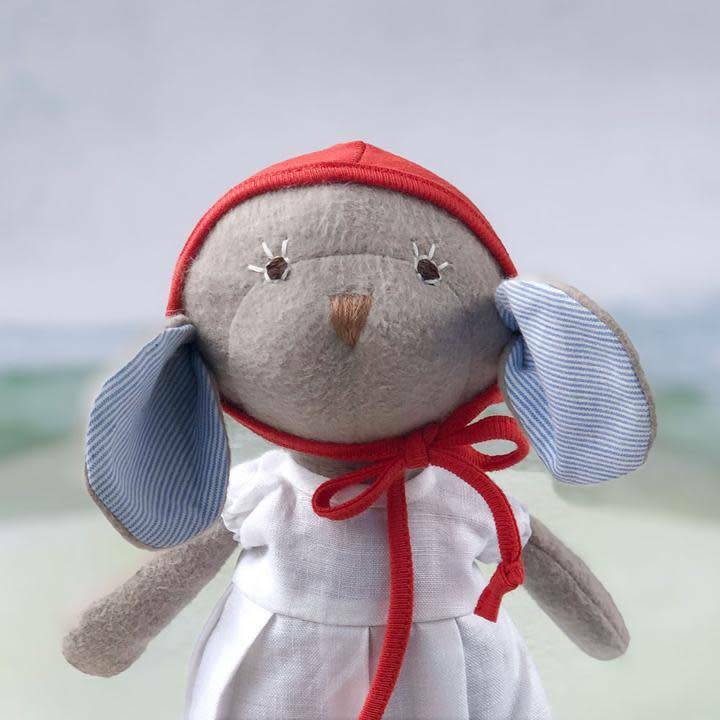 Her eyes and nose are hand-stitched with cotton embroidery floss. She measures 14 inches, not counting her ears and tail. You can hand-wash her in warm water, and she will air dry. 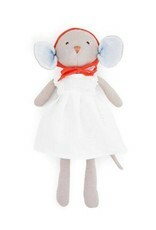 Catalina is dressed to impress in her white dress and bonnet.